As everybody deserves good education, here i am stucked with financial difficulties ahead. I have completed my Bachelors of Technology from a respected university in India. My complete bachelors education was supported by my respected state government for 4 complete years and i am very thankful for that. However, in today's competitive world, a bachelor's degree is very common. And i feel i need to study more. I wan't to study further and pursue Masters Of Project Management. I have successfully achieved required educational qualifications to study Masters Abroad. But right now there are no reliable scholarship schemes in my state for overseas education. 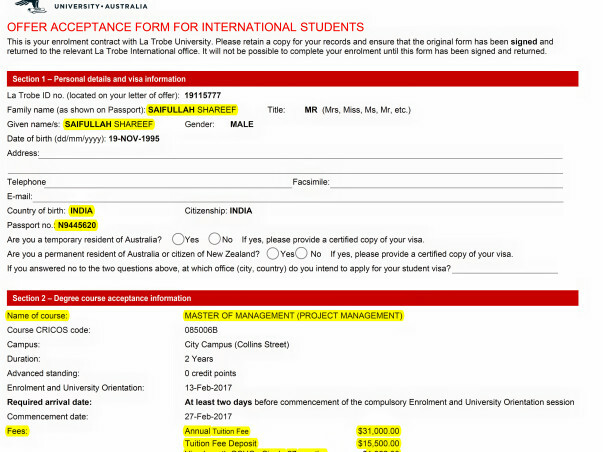 The reason i wan't to pursue Masters out of India is because of Quality of education and also quality recognition Of Australian Universities. 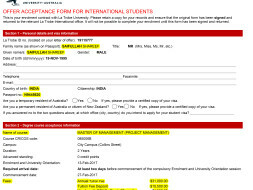 I got an unconditional offer letter from La Trobe University, Located in Australia, Melbourne. (Please check the images) and the fees for my selected course is higher than my current financial status. I really need a lot of financial help for my education. I want to work hard and aspire to grow more successful in my life through good education. I found internet can be an incredible source to reach for help. So, I am trying to arrange money from all the possible sources, and for that i have starting this funds appeal. Please fund me and help me to get educated. 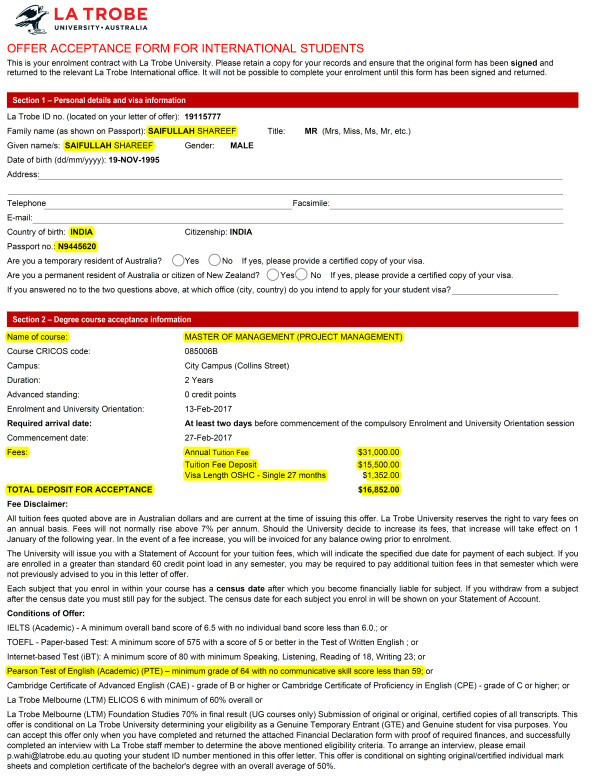 I need to hurry as i do not have much time and i have to submit atleast an amount of $16,852 AUD in 20 days. After submitting the amount, visa might take a month(sometimes it takes longer) to get issued before my offer letter expires. 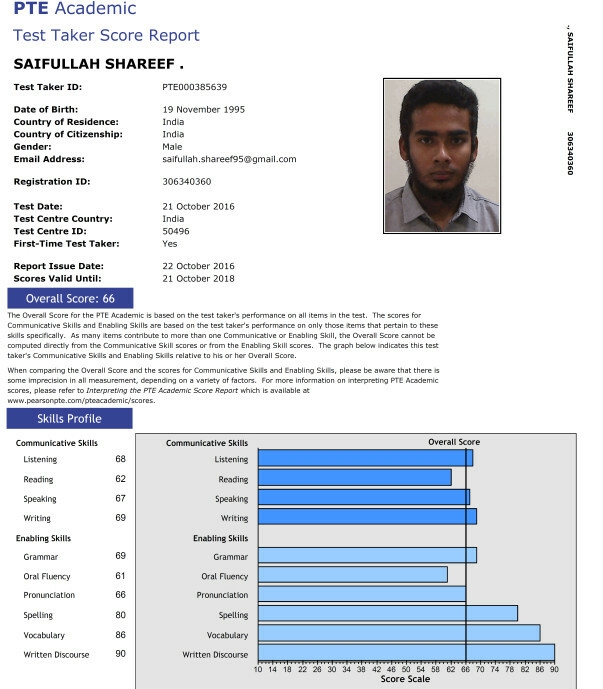 email : Saifullah.shareef95@gmail.com. It will be my genuine pleasure to answer your questions regarding this concern. Honestly, I am not expecting traveling amount or a little help for accomodation or anything on this website, i am capable to cover that. I just need some tution fee. Apart from that i am searching for part time jobs to arrange some money on my own, however i can not arrange all the amount in so less time for my education. I will appreciate even a small penny from you. Please fund me or help me by sharing my fundraiser to people whom you think can fund me. Thanks a ton for any sort of help :))) you are awesome! !